GREEN BAY, Wis. — Lambeau Field hosted the 16th annual Project Play 60 on Saturday. It's a chance to get kids and families out of the house and active during the winter months. 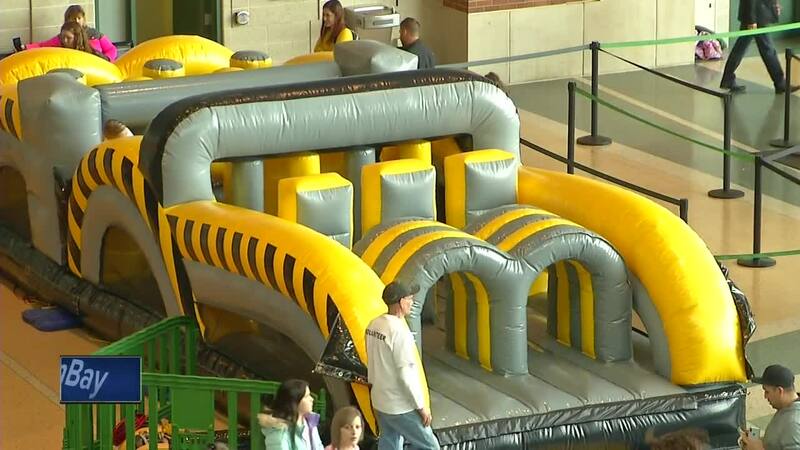 The event featured inflatables, climbing walls, and a ninja obstacle course. "It's really an opportunity for them to exert their energy and maybe find something new for them for the future," Packers Community Outreach Senior Coordinator Amanda Wery said. Project Play 60 is part of the Packers give back outreach initiative.